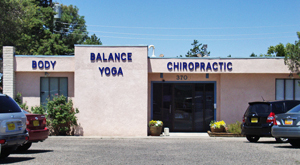 At Body Balance Chiropractic, our tranquil environment is the ideal place to begin your journey to healing and better health. We play classical music in the adjusting room to set a calm and peaceful mood. Dr. Swedberg receives quite a few compliments about the various pieces that he puts on the play list! If you come in with your paperwork completed, this appointment takes approximately 30 minutes unless we do X-rays. If that’s the case, please allow 45 minutes. These visits take about 15 minutes and typically include time on our water massage table or intersegmental traction table. You would then receive an adjustment. Rest assured that we don’t take a high-pressure approach to getting patients to commit to expensive and lengthy care plans. That’s not how we work. While we hope that you choose regular chiropractic care to maintain your good health, the choice is always yours. Most patients will come in two times a week for three weeks and sometimes more if they have significant pain. Experience the difference that natural chiropractic care can make in your life. Contact us today to book a same-day appointment!